iv) Expressing interest in buying solar power from neighboring countries like India. Bangladesh aims at making renewable energy account for about 10% of the total power generation capacity by 2021 – somewhere around 2400MW power. Given the present state of affairs, it looks like most of it would come from solar energy. The country runs a Solar Home System (SHS) program, which has granted electricity from rooftop solar to a large number of people living in off-grid locations, where access to power was impossible. However, this is equal to just 250 MW of solar installations, which means the country still has a long way to go to achieve its renewable energy goal. At present, the on-grid solar power generation capacity in Bangladesh stands at 15MW. SkyPower had announced building 2 GW of utility-scale solar energy in Bangladesh in 2015, with no further updates till date. Last year, BEZA or Bangladesh Economic Zones Authority signed an agreement with POWERCHINA to set up a 1 GW solar power park in the country. BEZA has plans of setting up a 100o MW solar power zone. The country is heavily dependent upon thermal power for its electricity needs. Bangladesh had signed PPAs for solar power generation amounting to 1070MW. However, the companies were not able to honor their commitments. Lack of land and proper government incentives have curtailed solar development in Bangladesh. The country can also look at developing floating solar power projects, which are proving to be a huge success in land-locked countries worldwide. In order to promote solar power in the country, the World Bank approved $55 million funds for rural areas of Bangladesh not connected with the grid. A Norwegian company Scatec Solar has also announced setting up an 800 MW solar power project in Bangladesh. Recently, Bangladesh has expressed an interest in buying 2000 MW of solar power from India. 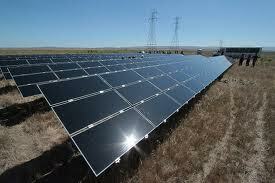 India is planning to provide electricity from large solar parks being set up in Gujarat and Rajasthan. India is keen on strengthening its energy linkages with Bangladesh given its strategic location and is also interested in constructing a solar power plant where the entire power generated could be supplied to Bangladesh. Though the move is being regarded as a good step in boosting cross-border energy trade, the country should look at constructing plants in the eastern states to reduce power losses during transmission. Prime Minister Modi has huge plans to support neighborhood trade with his “South Asia-focused neighborhood-first policy” and this deal will be a big step in this direction. PM Modi is focusing on energy security as an important agenda of India-Bangladesh ties and is looking at adding 500MW transmission under an existing link. Search by Tags:: Bangladesh Economic Zones Authority, Bangladesh to buy 2000 MW of solar power from India, BEZA, solar energy in Bangladesh, solar power generation capacity in Bangladesh, South Asia-focused neighborhood-first policy, Why is Bangladesh Buying Solar Power from India?